Each ruling matters mightily because, if they withstand appeals, they could ultimately land Texas — which has a well-documented history of racial discrimination in elections — back on a list of states needing outside approval to change their election laws. More immediate questions, however, surround what the rulings mean for the 2018 elections since new district lines could affect both voters and candidates. Already, one potential U.S. House candidate — former U.S. Rep. Pete Gallego — told The Texas Tribune he would consider running again for Hurd’s CD-23 seat, but perhaps only under new boundaries. The deadline for candidates to file for March 2018 primary elections doesn’t hit until December, but the case — due to its lengthy and complicated legal history — is several steps away from yielding new maps, creating a sense of urgency for civil rights groups and others calling for such changes. Those on all sides of the dispute likely want to avoid the confusion of 2012 — the year U.S. Sen. Ted Cruz scored an upset win over then-Lt. Gov. David Dewhurst in the Republican primary — when Texas was forced to delay those races. “The court is coming up against a crunch period,” said Michael Li, a redistricting expert with the Brennan Center for Justice at New York University Law School. The majority of judges on the San Antonio panel have clearly outlined their view of discrimination in the 2011 House maps, but neither decision required immediate changes. That’s because the state has been operating under temporary court-ordered maps drawn in 2013. 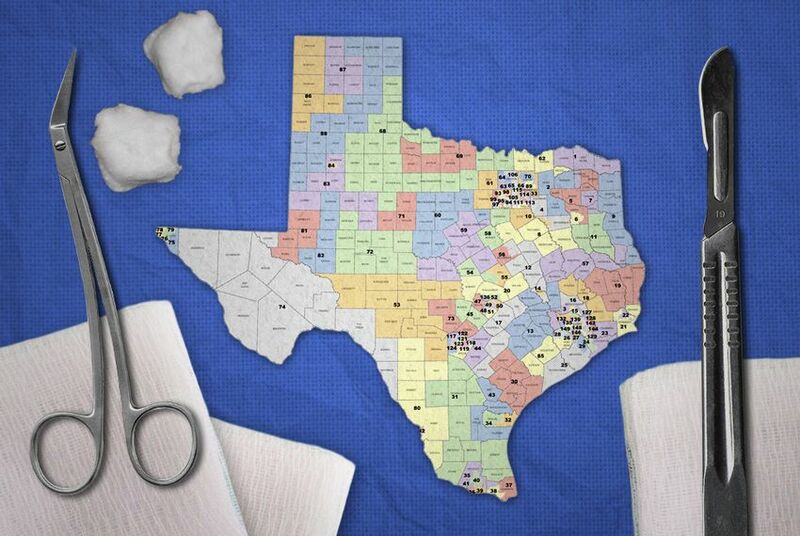 Texas Attorney General Ken Paxton’s office, which declined to comment for this story, has argued in court that questions about 2011 are moot since the 2011 maps are no longer in effect. “The challenge to the old 2011 maps are not only moot but ‘a finding that racial considerations were dominant and controlling defies everything about this record,’” Paxton said following the House map ruling, referring to a bristling dissent by Judge Jerry Smith of the U.S. 5th Circuit Court of Appeals. But even if the court was less explicit about its view of the newer House map, Li said, the plaintiffs may have a compelling argument that it, too, should be redrawn. That's because some 2011 House districts flagged by the judges as problematic — including parts of Dallas, Tarrant, Bell and Nueces Counties— are identical on the 2013 map. “If they were drawn with discriminatory intent, that hasn’t changed at all,” he said.